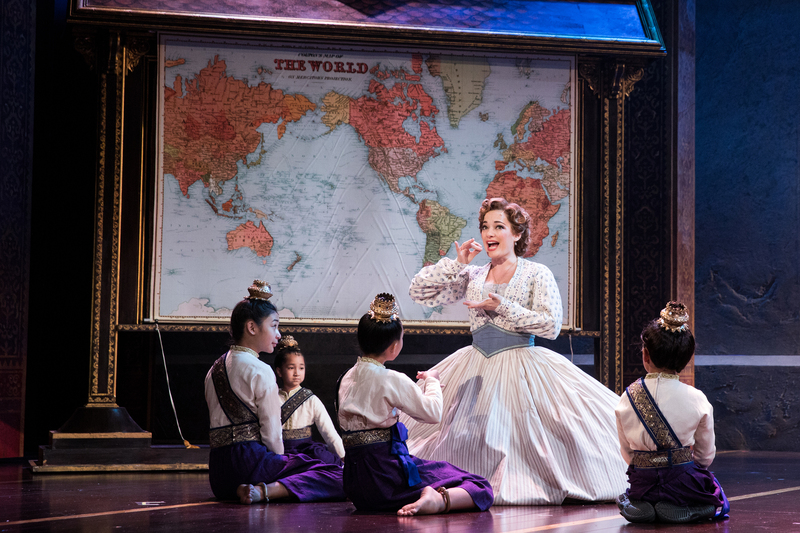 Laura Michelle Kelly as Anna and the Royal Children of Rodgers & Hammerstein’s The King and I. Photo by Matthew Murphy. 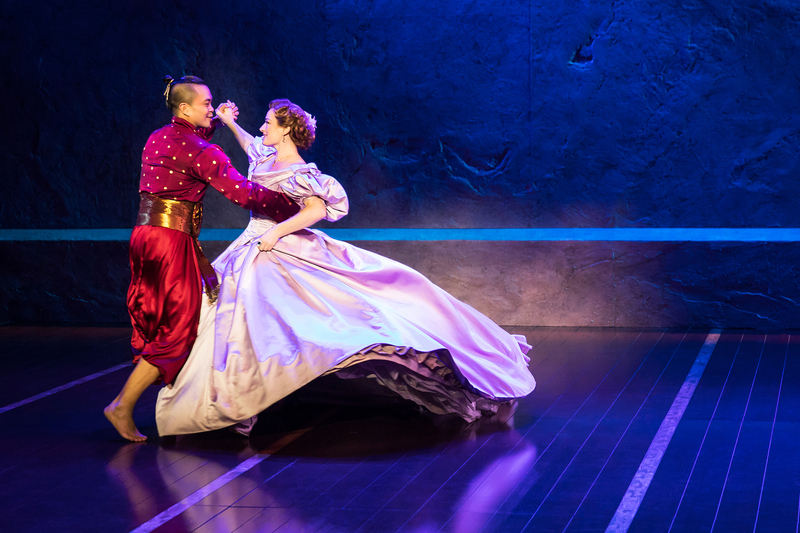 “Shall We Dance?” The ground answered with a resounding, YES, as The King and I opened November 28th at the Fabulous Fox Theater. The set came alive as the boat docked in 1860’s Siam. The widow, Anna Leonowens (played by Laura Michelle Kelly), was hired by the king of Siam to educate his wives and his large group of children. The king was already concerned about the western influence on his culture and wanted an early start on secular education for his family. Against their previous agreement, Ms. Leonowens moves into the palace, to take over her new post as a teacher. Ms. Leonowens comprised with western values is a difficult employee for the king. She challenges him, and along the way she opens his eyes to new ways of being…but, that was met with a great great deal of comedic hesitance. He often shushed, and waved her away, making hand gestures indicating he was tired of her chatter “etcetera, etcetera, etcetera”. My favorite part was the King(played by Jose Llana), singing “A Puzzlement” when he openly admits that he doesn’t really understand all the changes that are taking place. This show moves rather quickly, with a secondary story about two young lovers who aren’t supposed to be together, Tuptim (played by Q Lim) and Lun Tha (played by Kavin Panmeechao). Tuptim one of the kings junior wives, and Lun Tha a scholar were both from Burma, Lun Tha was there to study a design for a temple. Tuptim was brought to the king as a present from the King of Burma. The two were in love from the time they both arrived in Siam. Tuptin quickly lets it be known, that while the king may own her, he did not own her heart. Q Lim showed off her powerhouse vocals in “My Lord and Master” as she declares her love for Lun Tha. In the kings attempt to modernize, the story goes on a colorful journey to prove to the western elite that he is NOT a barbarian. Amidst learning western culture, including how they dress and dance, an unlikely romance blossoms between Anna and the King, all the while teaching us lessons of equality and respect for others’ differences. I promise you will find yourself singing along to this amazing song list “Whistle a Happy Tune”, “Getting to Know You”, “Hello Young Lovers”, “Shall We Dance”, ” I Have Dreamed”, and “Something Wonderful”. 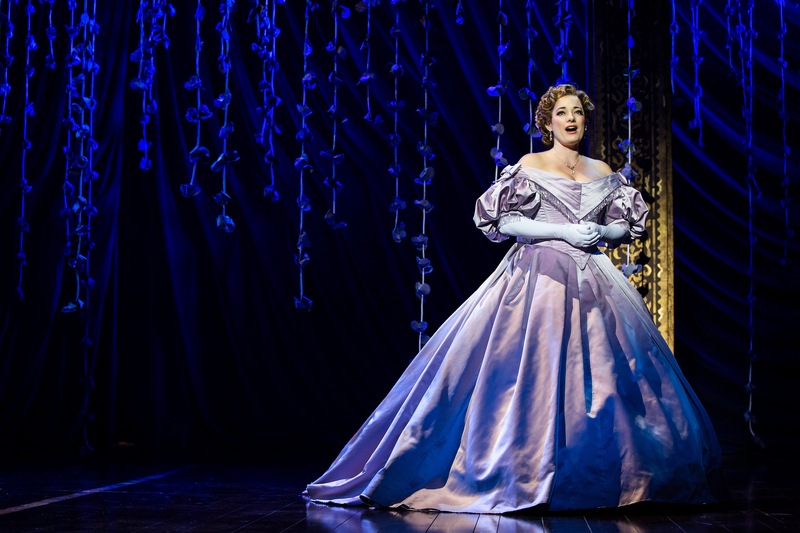 Laura Michelle Kelly as Anna in Rodgers & Hammerstein’s The King and I. Photo by Matthew Murphy. “The King and I” is a beautiful and colorful representation of life and the differences we face, proving that sometimes even the most beautiful love stories, cannot be written. 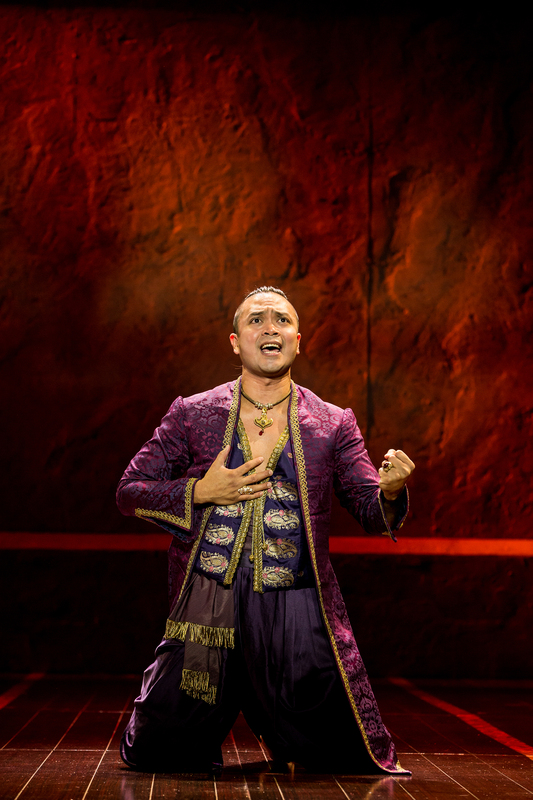 Performances of “The King and I” at the Fabulous Fox run November 28 – December 10. Show times are Tuesday through Saturday evenings at 7:30 p.m., Saturday afternoons at 2 p.m. and Sunday afternoons at 1 p.m. There will also be an evening performance on Sunday, December 3 at 6:30 p.m. and a matinee performance on Thursday, December 7 at 1 p.m.
To purchase tickets, visit Metrotix.com, call 314-534-1111 or in person at the Fabulous Fox Box Office. Prices start at $40. Next: IN ‘THREE BILLBOARDS OUTSIDE EBBING, MISSOURI’ THE CENTRE CANNOT HOLD.